Season the shorties with the salt and brown on all sides in some oil, in 12qt. pot. 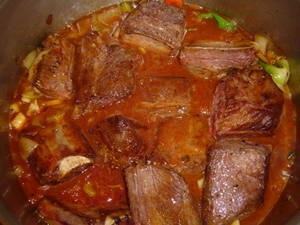 Remove shorties and add onion, carrots, and garlic... Saute till the onion is soft. Add some ginger ale to deglaze the pot. 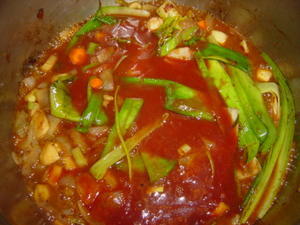 Mix the remaining ginger ale with the chili sauce and add to pot with remaining ingredients. 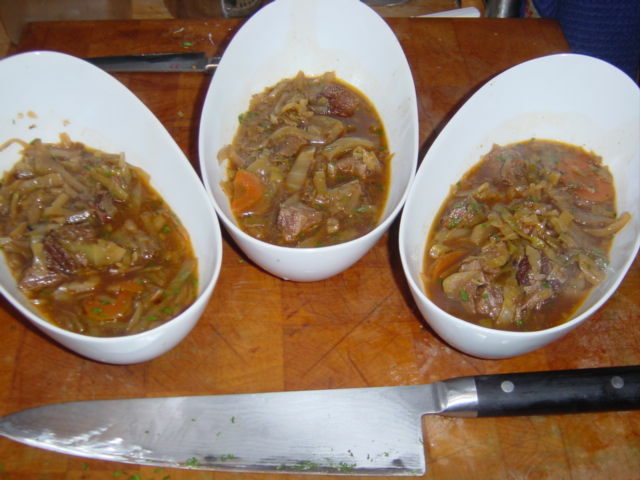 To remove fat, remove meat and chill remaining soup. Fat will rise to the top and solidify. Remove solidified fat and reserve. 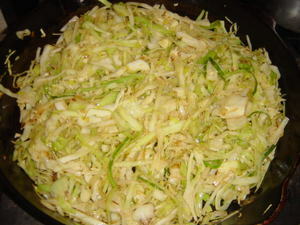 Saute the cabbage in some of the reserved beef fat until cabbage softens and starts to brown. 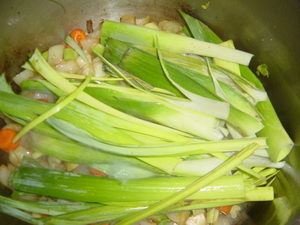 Add soup to the cabbage and bring to a boil. 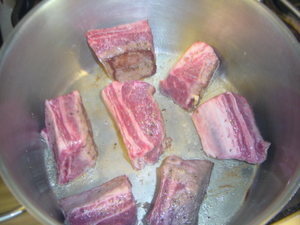 I suggest trimming beef to get rid of fat and gristle.... Meat can be re-added to soup when the soup is reheated, or served separately. Return the shorties to the pot. 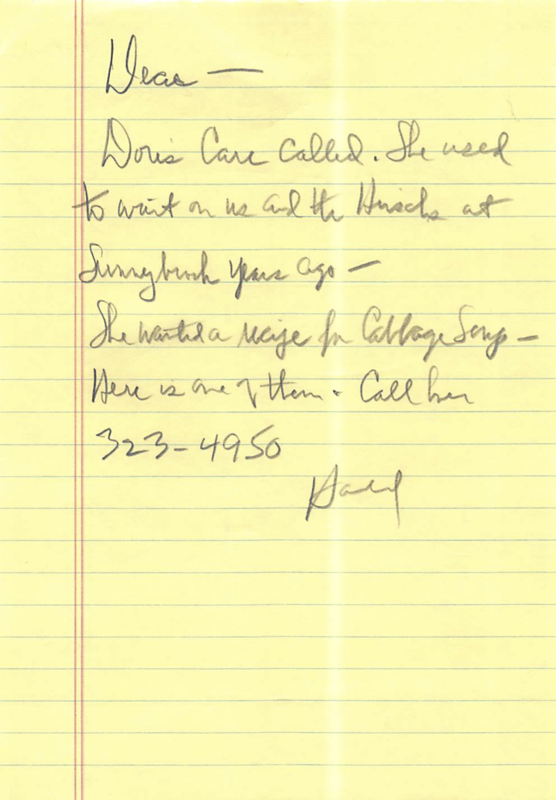 From my father to my mother.